Gaming the System by Laura K. Curtis was a sweet and enjoyable read. The premise of the story was about a fake relationship turned real. What's not to love about a book that deals with two people from two different sides of the track falling in love. This story is definitely your feel good kind of read because I love the message that love sees no social status and its about finding the right person to fit into the world you want. When I say fit into your world, I mean a person whom you can see a future and relationship with not a person of social status and expectations. 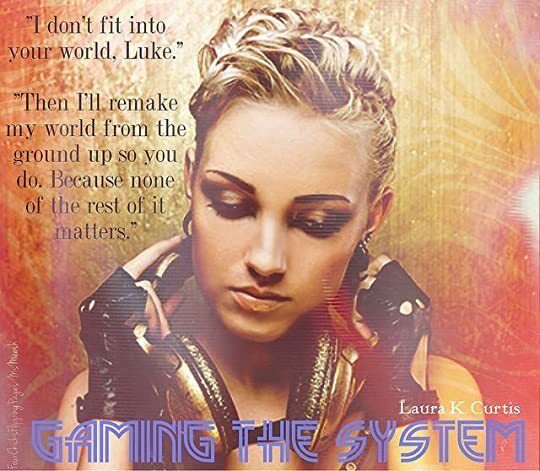 So if you are looking for a sweet quick summer read, then I suggest you give Gaming the System by Laura K. Curtis a try because what started off as a fake relationship became a whole new game when feelings of love are involved.